HOT-blocks Heated Stair Treads - 11”x 38” | KEMF Inc. 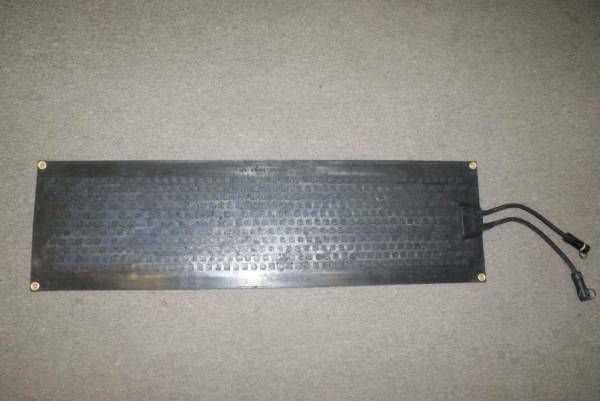 The HB 27-95 Stair Tread mat measures 11 inches x 48 inches and weighs 7 pounds. 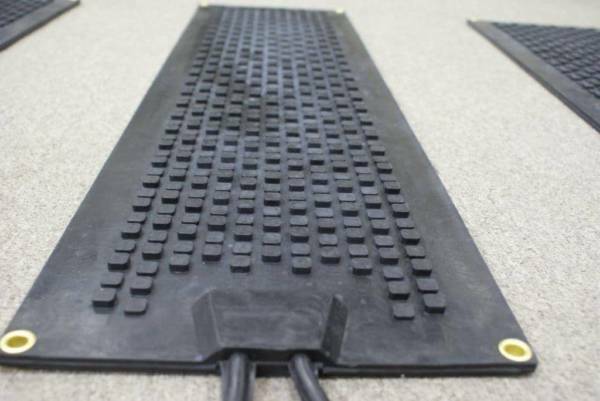 One can inter-connect up to 10 mats (120V) / 20 mats (240V) on 1 GFCI power unit of 15 amps. 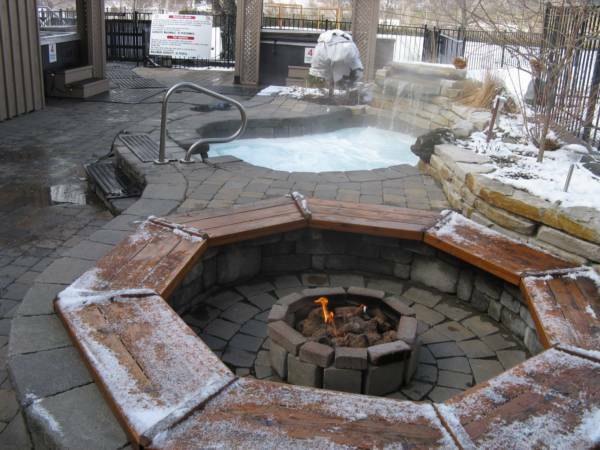 What’s riskier than climbing up and down stairs covered in snow and ice? 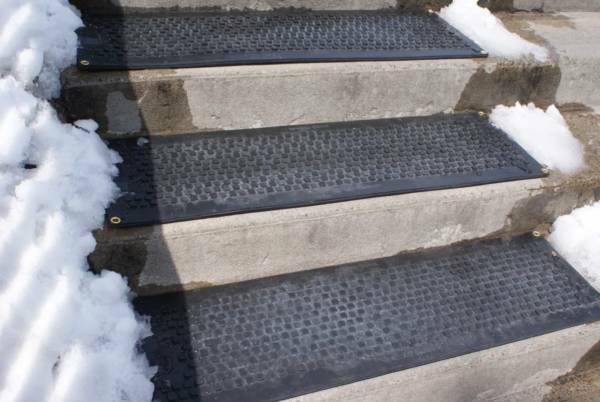 There is nothing more treacherous during the winter season than stairs and walkways covered by snow and ice around your home or business. 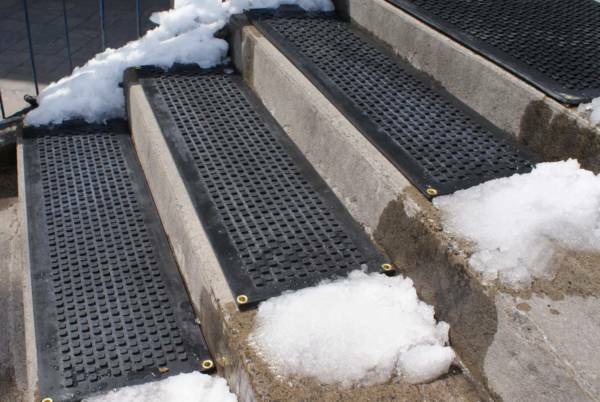 This winter, “tread” safely and eliminate the risk of accidents due to ice and snow accumulation by using HOT-blocks™outdoor anti-slip heated stair treads. 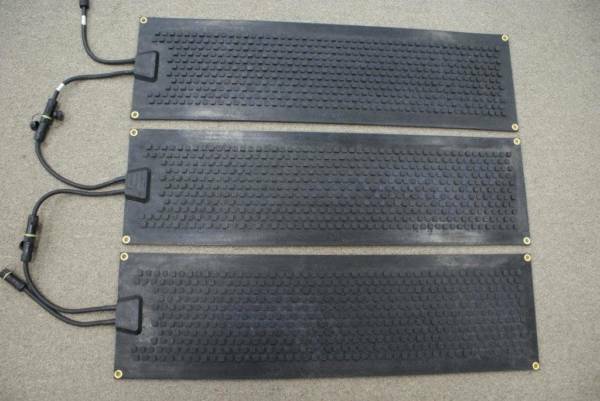 Our UV Protected anti-slip heated mats are made of SBR rubber (completely waterproof and very durable), offering excellent abrasion resistance, perfect for high traffic areas. 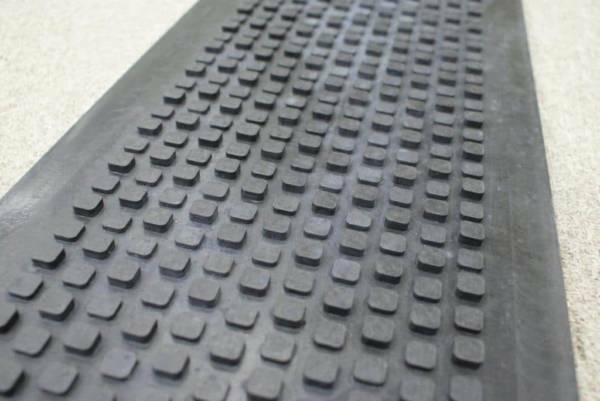 HOT-blocks™ mats are made of top-quality, 100% virgin SBR rubber, are completely waterproof and offer great anti-slip traction, even in the worst conditions! 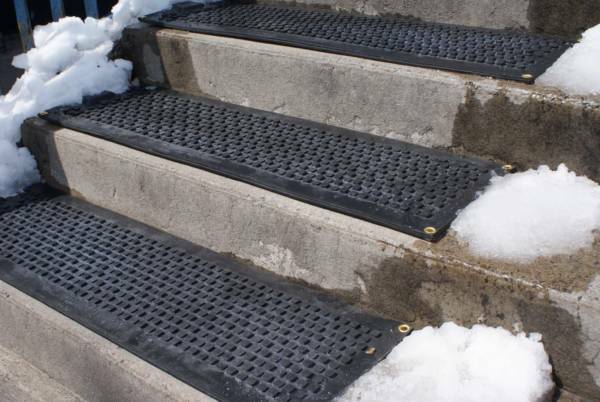 The outdoor heated mats melt snow on contact keeping your steps, entrances, and walkways safe and secure. You can plug them into any standard 120V, 230V or 240V outlet. 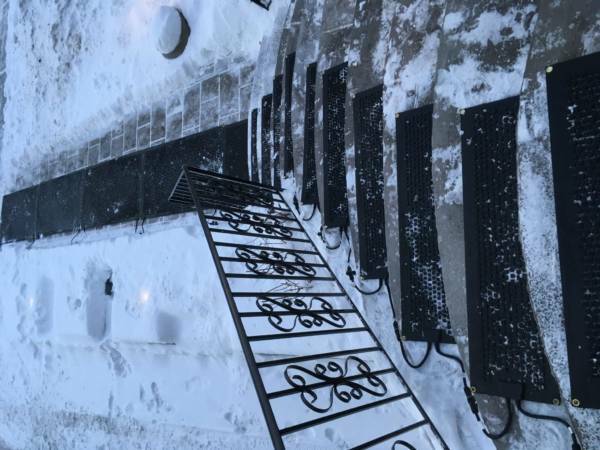 Just turn on and HOT-blocks™ mats will heat between 7 – 10 degrees Celsius and melt up to 2 inches of snow per hour (If you have continuously blowing snow, it will take longer)! Fast enough to keep your space clear of snow and ice throughout the duration of our arduous Canadian winter weather systems. 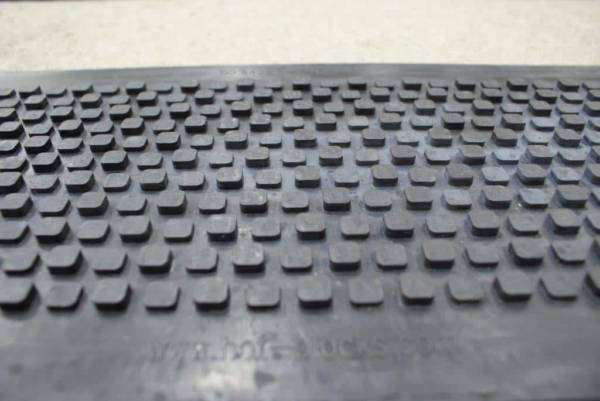 The mats distinctive design assures that they remain in place all winter long without constant shifting or the need for repositioning several times throughout the winter season. 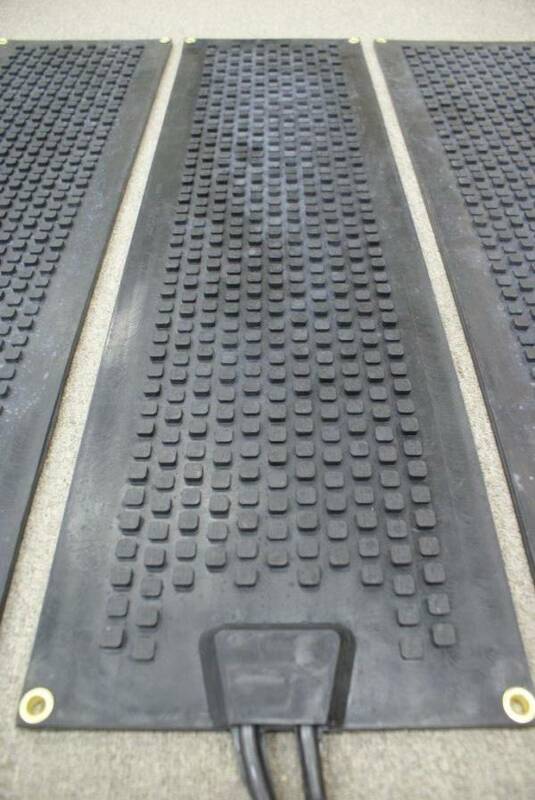 Unlike its competitors, the HOT-blocks™ UV Protected anti-slip heated rubber walkway mat is built to simplify life, not complicate it! Being safe during bad weather doesn’t mean that you need to sacrifice on aesthetics. 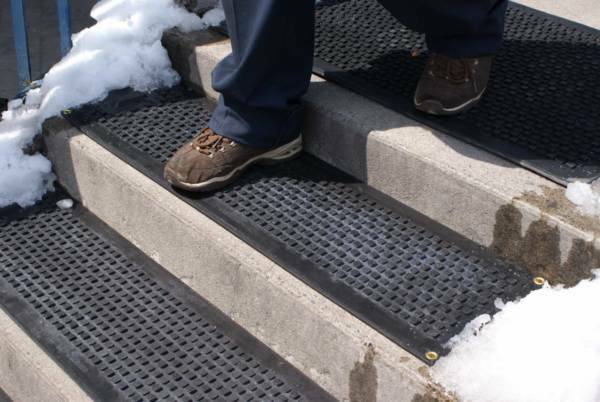 That is why HOT-blocks™ UV Protected anti-slip heated rubber mats have been designed not only to melt snow and ice, but to also provide great traction all winter long. The distinctive snowflake pattern found on all our HOT-blocks™ mats makes them visually appealing as well as functional! Size 27 x 95 cm / 11 x 38 in. Thickness 13mm / 0.51 in. Weight 3 kg / 7 lbs.